The North Shore harbor village of Grand Marais is a welcoming community with much to offer property owners and buyers. 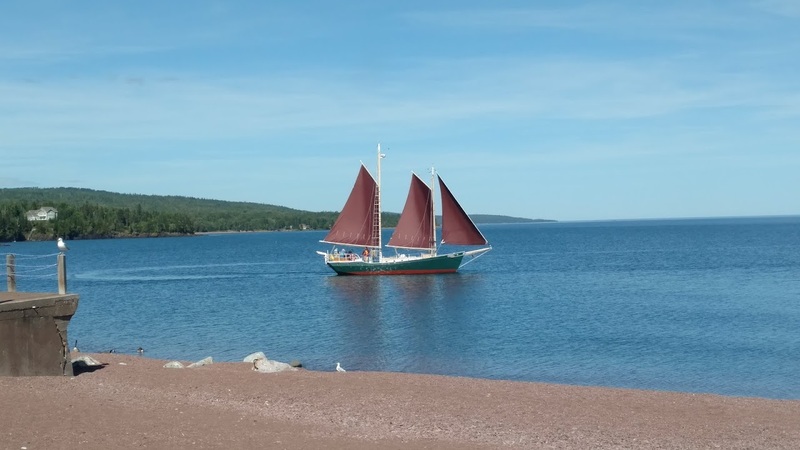 Grand Marais has been named America’s Coolest Small Town (Budget Travel Magazine), voted Top 10 Beach Getaways (Outside Magazine), and the Next Great Adventure Town (National Geographic Adventure Magazine). Located between the Sawtooth Mountains and Lake Superior, it is easy to see why many find inspiration in Grand Marais and its selection of homes, condos, cabins and land. Our office is located right downtown on the east bay, so Red Pine Realty has intimate knowledge about Grand Marais properties. Grand Marais is a well known arts community where you can enjoy the natural beauty that surrounds the harbor, watch the beautiful scenes of Lake Superior, walk the beaches, and enjoy yourself at any of the unique restaurants and shops. This is the hub of activity in Cook County with all the amenities available for stocking up for adventures or having a night on the town. The Grand Marais Art Colony, North House Folk School and other venues have ongoing events. Also known as the gateway to the Gunflint Trail, this is the starting point for adventures into the Boundary Waters Canoe Area Wilderness. The “Trail” is home to many historic resorts, lodges and outfitters. Great dining can be had at many of the resorts. Chick-Wauk Museum and Nature Center sits near the end of the 60 mile long Gunflint Trail at Saganaga Lake. There are many wilderness lakes along the “Trail” which have homes and cabins for sale. Poplar, Hungry Jack, Bearskin, Clearwater, Birch, Loon, Gunflint, Tucker, Sea Gull and big Sag all have private property that occasionally comes on the market. You may find that classic log cabin on a pristine lake, or a lake lot on which to build your dream cabin. No one has more experience selling property along the Gunflint Trail than Red Pine Realty. To view Grand Marais Listings, click the buttons below.